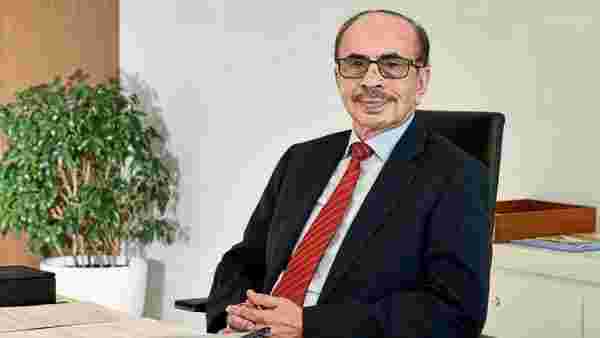 MUMBAI: As national elections near, Adi Godrej, chairman of Godrej Group, said the central government should fund political parties in order to bring transparency in campaign financing and curb corruption. “I am strong believer that political parties should be funded by the government as in many countries. Depending on private entities leads to unnecessary corruption and problems,” he said. How do you rate changes in the last five years as compared to the previous regime? First of all, ease of doing business has improved a lot. Everybody wants to be in India because India is the fastest growing major economy in the world. It is already by purchasing power parity the third largest economy in the world. And, my personal estimate is by 2050, it will become the largest economy in the world by purchasing power parity. We will overtake the Americans first, and then the Chinese. By and large, because a large section of population, their wages have remained stagnant. So, this is coming out of NSSO (National Sample Survey Office). I think our measurement of income and employment is still not very good. It is not good at all. So, I don’t think anybody who needs work is not able to get one. So, it is a question of not being able to get what you want. In fact, there is shortage of people. All sorts of people—doctors, nurses, teachers. To my mind, this is a wrong perception. Generally, it is a political perception created by the opposition. Otherwise, you would not be the fastest growing economy in the world. Do you see a lot of demand for your products in rural India to counter the narrative that in rural India, there is no demand? In almost all our businesses, rural growth is faster than urban growth and this is true for all companies. Rural India is growing very well. In the old days, the main demand in rural India was from the agriculturists. But, now there are a lot of other people. Animal husbandry has become a big business. Growing of vegetables, fruits as a business is growing dramatically. A lot of retail outlets are opening up in rural India. All those also employ a lot of people. Any of the social or economical schemes that you think led to this change? No. It is just general growth, which has been good. We do not see Indian companies investing for capacity creation. If there was demand, growth, why do the companies not invest? First of all, companies are getting efficient. The same factories are producing much more than they used to earlier. There are a lot of management techniques being used to increase production from the same capacity. Secondly, there is a lot of investment taking place. You can check that with the banks. A lot of the other companies, say in capital goods space, etc, are not adding capacity. There is a plenty of capacity added in power, steel. I do not know where are you getting these data points? It is all government data. The government data is not reliable. What do you mean when you say don’t interfere in an enterprise? There are too many rules and regulations in our country. Now of course, we have much less. Until 1991, we were ridiculously controlled. When we liberalized, we grew very well. We will grow even more. We will grow at 10%, in my view, if we did not have restrictions. Look at real estate, you need so many permits, permissions, etc. What do you need it for? You have certain rules, which people have to follow and leave it to them and if they don’t follow them, prosecute them. But, haven’t economic reforms such as IBC made things easier? The Bankruptcy Code has been very poorly implemented. Because, there have been so many cases of bankruptcy, which have not been finalized. We allow them to go from one court to another and then we give them stay order. Our judicial process is very slow. We do not have enough judges. You are talking about employment. We can have lot more judges in this country. So, is it fair to say IBC has lost its essence? It is a good move. But, it is not being implemented as well as it could have been. That is not perhaps for lack of trying but it is also our legal system and legislation. Don’t we see that in well intentioned policies such as GST (goods and services tax), IBC and a whole host of other policies—very well intentioned but poorly implemented. Take GST, for example. Our earlier taxation policies were ridiculous. We had indirect taxation at state level, central level and at the local level. GST has made it much simpler. GST is one of the things, which I would feel is well implemented. GST Council has been formed and they take decisions. If there is something that’s been discovered and needs improvement, they do it quickly. I would say, it has been well implemented. We deal with GST all the time. We never found any problems. But, most companies have found problems with GST. Yes, I agree. But, you know why? Most companies have not been paying taxes. There is a system that ensures that you pay your taxes, they don’t like it. Why do you think GST was resisted for so many years? The whole system allowed a lot of black money. So as a businessman, you would want the next government to continue what this government has done? Not as a business but as a citizen. Let me be clear, the direction that we are going in as a country is the right direction. You and your family are one of the first generation of entrepreneurs in India. There have been several such waves, one after independence, another after liberalization. When is the next wave of entrepreneurship going to happen? It will not come in waves. It is a constant occurrence. With more people getting into business, the better off India will be. Unfortunately, one of the problems in this has been government interference. Can you imagine we had taxes for people who wanted to invest in startups? How ridiculous can this get! How can we have a tax on investment. Now, they are trying to correct it with hopefully retrospective effect. There were some people in the bureaucracy who want to tax everything. There was over 90% marginal income tax. We had 8% wealth tax. Why is there so much resistance on wealth creation? I can’t tell as I don’t agree with that. I think encouraging wealth creation encourages entrepreneurship and growth… Jealousy I would say.